One of the greatest gifts literacy provides children is the ability to experience and explore new worlds, cultures, and ideas – all within the pages of a book. Matilda Bray, a 12-year-old student at Sol Feinstone Elementary in Newtown, Pa., knows this firsthand. “You can be whoever you want to in writing,” Matilda told Children’s Literacy Initiative. After a school assignment to write a poem, Matilda was hooked. She estimates she’s written hundreds of poems since then. “She’s constantly writing. It’s just part of her existence,” said her dad, Chris, adding that he and Matilda’s mother, Tracy, were constantly finding poems around the house from the moment Matilda started writing about six years ago. Now Matilda is about to accomplish a major life milestone: the publication of a chapbook of her poems. 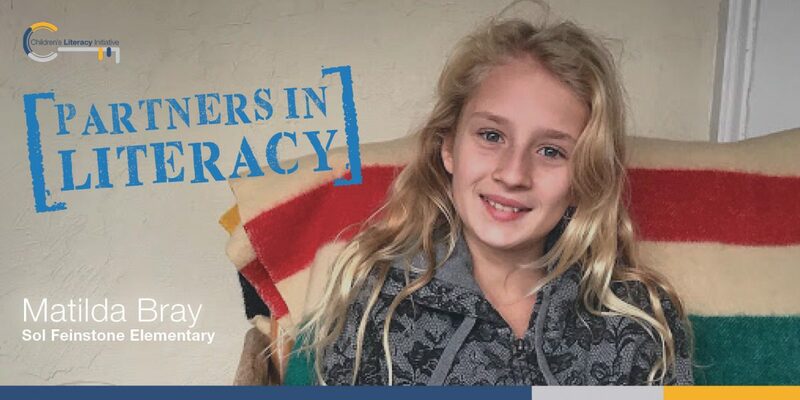 And because she connected with the mission of Children’s Literacy Initiative to help more children become powerful readers, writers, and thinkers, she is using her chapbook crowdfunding campaign to donate to CLI. The Brays initially planned to donate a portion of proceeds to CLI, but the campaign quickly took off and surprised its goal to raise $2,500 for the publication of 500 copies. Now they are also donating 100% of the funds raised beyond that goal to CLI. Chris said the idea to publish a chapbook was suggested by Matilda’s poetry mentors, Joanne Leva and Lorraine Henrie Lins. The book is called “Under the Moon as My Sun” and includes 35 poems that explore both serious and lighthearted topics. Matilda told CLI she was surprised by the overwhelming support she received to publish the chapbook. “I really like writing poetry … and inspiring other people. But I was surprised at how generous people were, and how supportive. There’s a lot more good people in the world than bad,” she said. “We are of course her biggest fans,” Chris confirmed. The Brays, including Matilda’s 8-year-old sister, Willa, all love to read and are constantly visiting their local library. Matilda favors works by Emily Dickinson, Maya Angelou, Charles Dickens, and Rudyard Kipling. Some of her readings have inspired her to tackle tough topics. “I started off writing nature poems, and then I decided to kind of dig deeper into what my thoughts were,” she said. Matilda is dedicated to her craft and meets regularly with her mentors at the library, where they give her writing assignments and review her work. She regularly attends poetry nights in New Hope, where local writers can read their work aloud for an audience. Matilda won second place at the Main Street Voices Poetry Contest and was runner-up at the 100 Thousand Poets for Change Poetry Slam in Montgomery County. She has also participated in the Flash Poetry Festival at the New Hope Arts Center. Her poems have been published in the Schuylkill Valley Journal and the River Poets Journal. 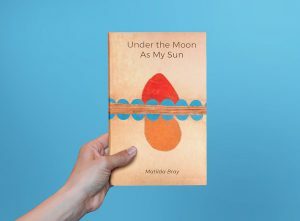 To pre-order a chapbook and support Matilda’s fundraiser for CLI, visit her campaign page at https://www.indiegogo.com/projects/under-the-moon-as-my-sun-poems-by-matilda-bray-books-community#/.